Now 37, Sophie had speech and language problems identified when she was three years old with her parents concerned about her understanding of words and speech. They sought help for a situation that some people blamed on Sophie’s parents not communicating with Sophie, a hurtful accusation when Sophie was in a very nurturing, supportive family environment. Despite other people not believing them, Sophie’s parents knew Sophie had difficulties that needed recognition in order for her to receive specialist help. They battled to have Sophie diagnosed with speech and language problems and for her to receive intensive speech and language therapy, as well as attend a specialist school. The support she had there made a dramatic difference to Sophie’s development, including her reading and writing skills. On leaving school, Sophie trained as an early years practitioner and today works at a day nursery supporting children with complex needs. She is very talented at her job and has good relationships with children and colleagues. Happily, the role builds on Sophie’s personal and professional strengths. But, Sophie’s language difficulties mean that sometimes it can be hard to follow meetings, to have the confidence to ask what people mean and explain things. This led Sophie a few years ago to pluck up courage to tell her managers and colleagues that she had Developmental Language Disorder (DLD). 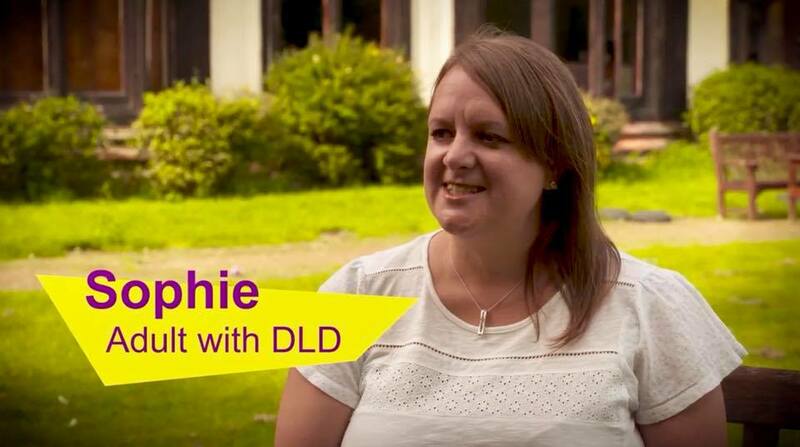 This required Sophie to explain how DLD can affect her everyday – and while people have been supportive, she worries they still do not really understand what it is.